In The Edinburgh History of Scottish Literature (2006), Michel Byrne praises Derick Thomson’s third collection, An Rathad Cian (The Far Road, 1970), as “the most extraordinary homage to place in Gaelic literature”. 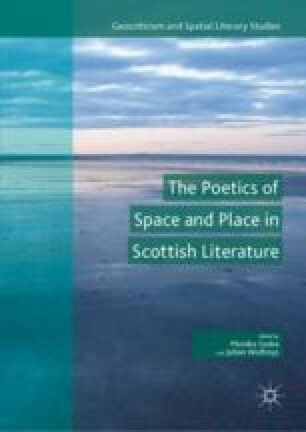 Given the widely acknowledged, conspicuous prominence of poetry about places in Gaelic literature, it is a large claim indeed. The cycle of fifty-six poems is devoted entirely to Thomson’s native Lewis and explores different aspects of the island, its history and people, and of the speaker’s complex relationship to the place. This essay reads the collection in the context of the rich tradition of Gaelic writing about places—a tradition on which Thomson draws but at the same time breaks away from—and also of the poet’s oeuvre, where An Rathad Cian marks a distinct change in theme and form and closes one significant episode of Thomson’s poetry. It offers close readings of several poems, such as “An Uilebheist” (The Monster) and “Bùrn is mòine is coirc” (“Water and Peat and Oats”). This work was supported by the European Regional Development Fund-Project “Creativity and Adaptability as Conditions of the Success of Europe in an Interrelated World” (No. CZ.02.1.01/0.0/0.0/16_019/0000734).